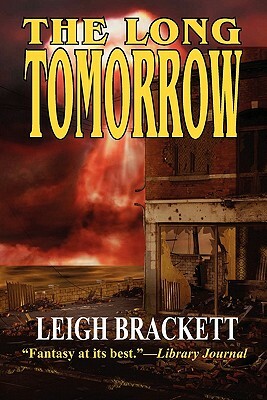 One of the original novels of post-nuclear holocaust America, The Long Tomorrow is considered by many to be one of the finest science fiction novels ever written on the subject. The story has inspired generations of new writers and is still as mesmerizing today as when it was originally written. ** Len and Esau are young cousins living decades after a nuclear war has destroyed civilization as we know. The rulers of the post-war community have forbidden the existence of large towns and consider technology evil. ** However Len and Esau long for more than their simple agrarian existence. Rumors of mythical Bartorstown, perhaps the last city in existence, encourage the boys to embark on a journey of discovery and adventure that will call into question not only firmly held beliefs, but the boys' own personal convictions.